Family construction company Robert Woodhead Ltd and ex-forces educational charity SkillForce are celebrating the start of a charitable partnership supporting education and schools projects across Nottinghamshire. SkillForce works primarily with ex-forces personnel who are trained and employed as instructors and able to put their skills to good use engaging with hard-to-reach young people to help them prepare for their next steps in education, work or training. The instructors often come from similar backgrounds to the young people they are supporting and are able to empathise with them and become positive role models. The programme uses activity based learning to engage, prepare and develop young people and help them find a way to achieve and succeed. Employees from Woodhead chose SkillForce as its charity for 2015, from a shortlist of worthwhile organisations and have already begun organising fundraising activities, with teams of colleagues already in training for the Big Fun Run 5k at Colwick Country Park, in August and the Nottingham Robin Hood Half Marathon in September. 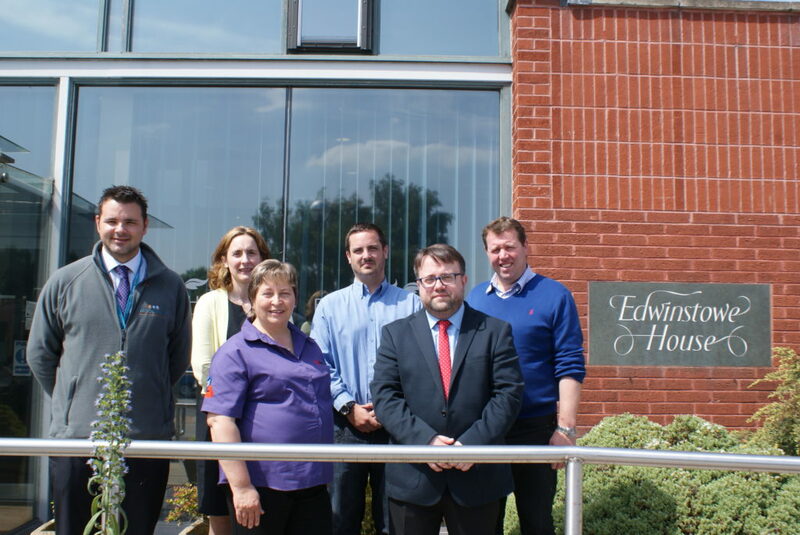 Pictured (Back Row) Tony Robinson, Fay Paterson, Tom Woodhead of Robert Woodhead Limited and Mark Spencer (MP). Front Row Janet Ford and Ben Slade of SkillForce.